The Bulgarian Tourist Chamber has forecast a profitable winter season for the country's ski resorts, according to its chair Tsvetan Tonchev. This will be largely due to the large number of Bulgarian tourists, who will be the major group of holidaymakers this winter. Toshev's comments come after great worries among the Bulgarian winter tourism industry because of the lack of snow in November and early December, which, however, was followed by heavy snowfall last week. On Friday, Borovets was the last major Bulgarian ski resort, after Bansko and Pamporovo, to open its winter season. "As a whole, we have ahead of us not such a good winter season but still a decent one," he stated. 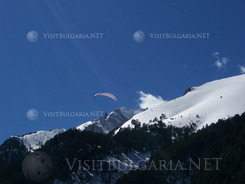 According to the Bulgarian Ministry of Economy, Energy, and Tourism, the number of tourists visiting Bulgaria's winter resorts is expected to grow by 5% - 10% in 2011 - 2012 year-on-year; the Bulgarian Tourist Chamber has put the number at 7%. Tonchev pointed out that the satisfied tourists are the best means of advertising.